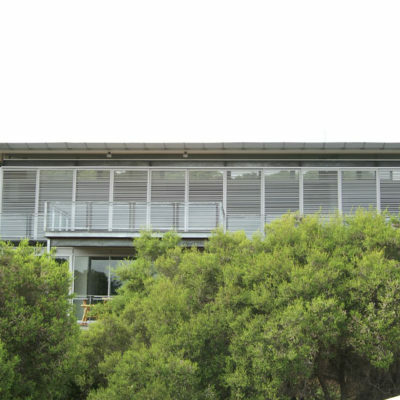 This multi award winning home is located on a very challenging site designed to take advantage of its elevated position with extensive views of the Indian Ocean to the west. 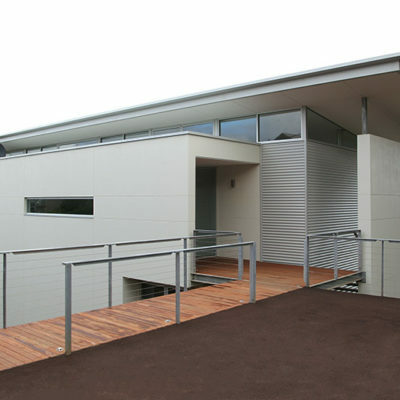 Comprising a solid masonry core to the east and a framed and glazed pavilion to the west, it has a low roof pitch which follows the rake of the ground. 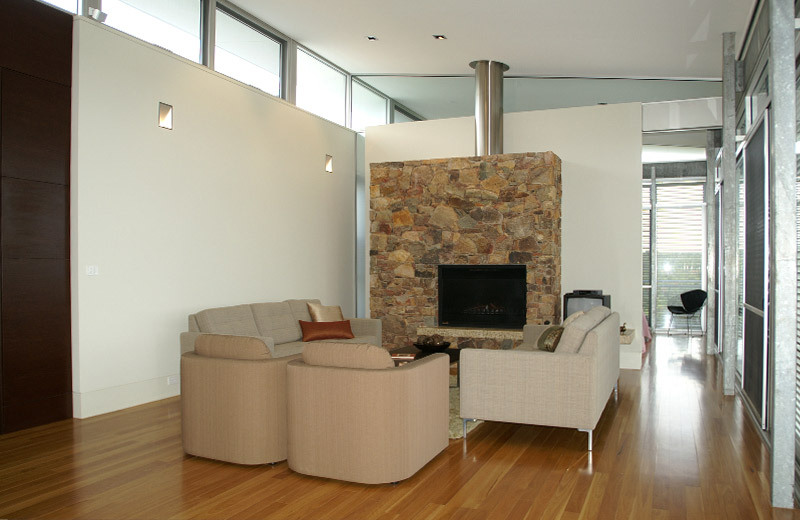 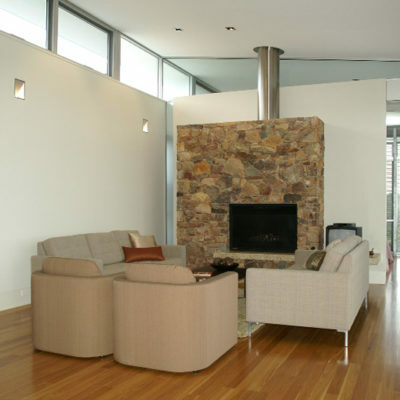 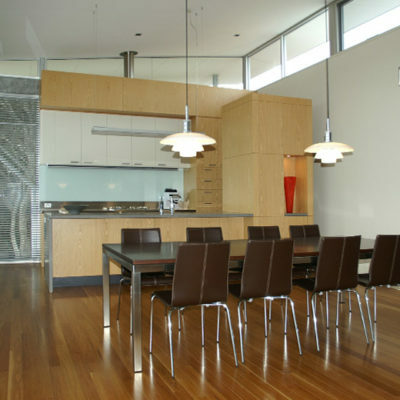 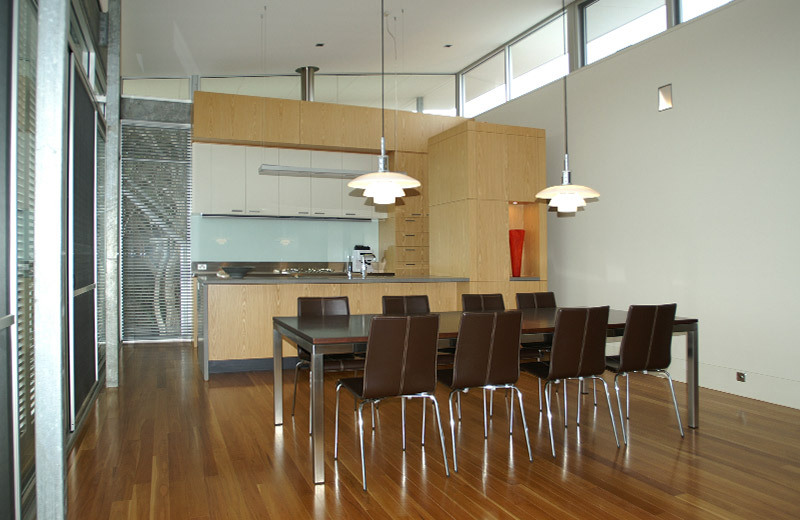 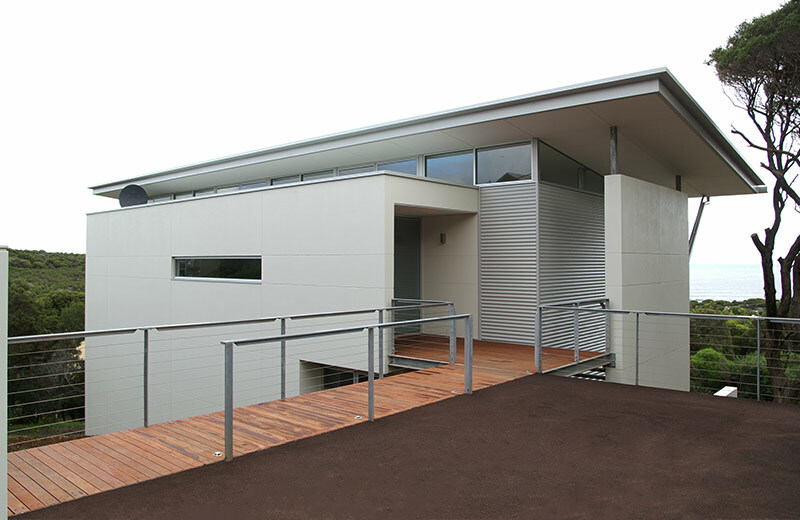 The walls are a combination of rendered brickwork and stud-work, clad with Colorbond custom orb and glazing. 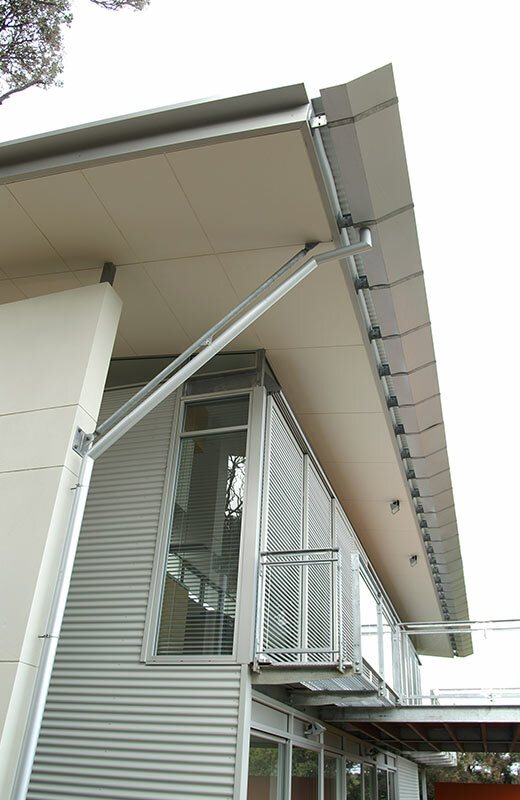 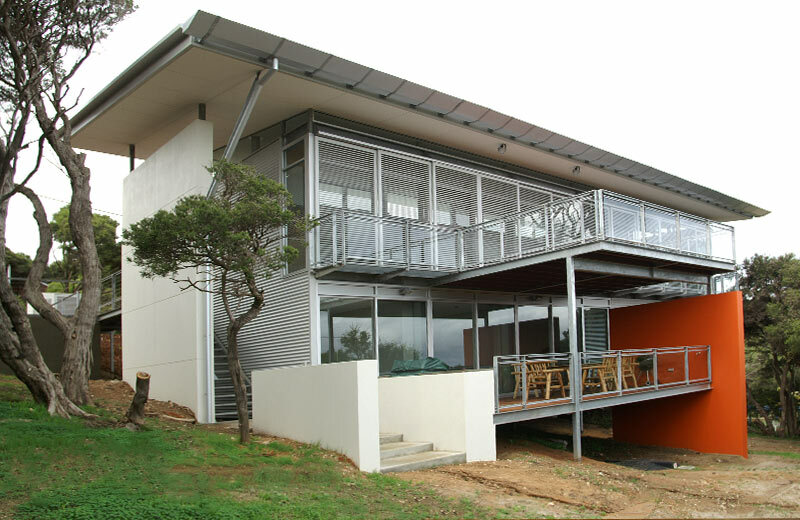 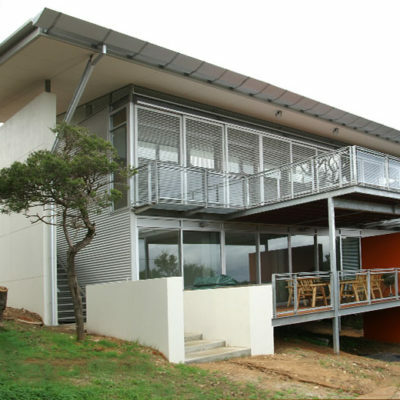 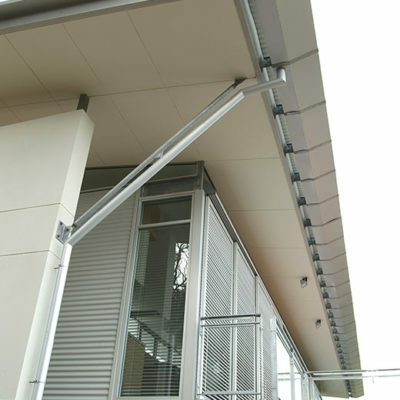 Roofing is Colorbond custom orb supported by steel structure. 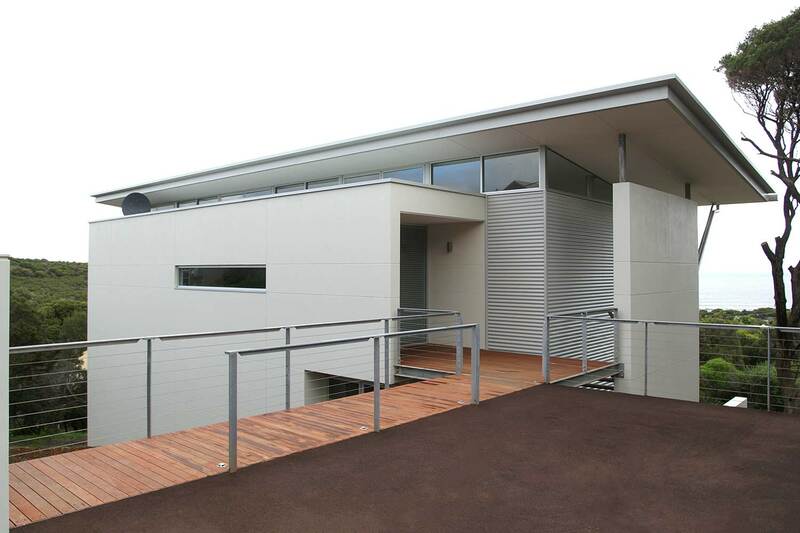 The floors are both concrete slab on ground and suspended concrete floors supported by BONDEK® permanent formwork. 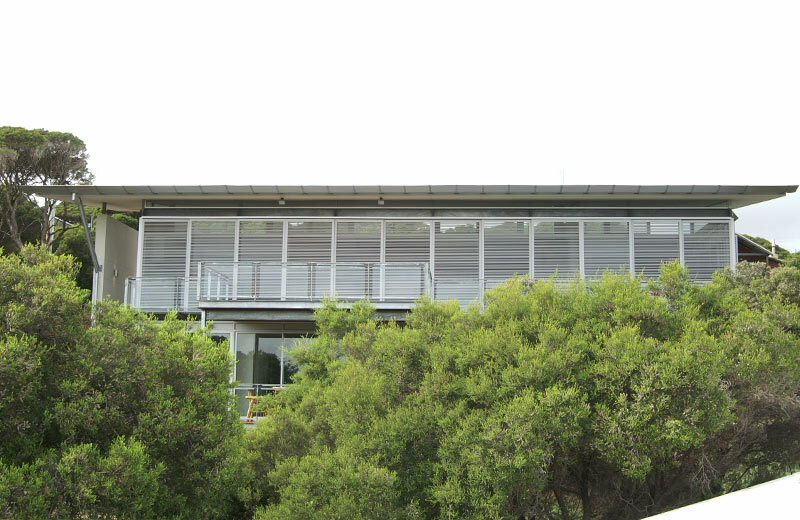 The home makes good use of natural light, required little impact on existing site vegetation and care was taken to respect the views and privacy of adjoining sites by maintaining a low pitch rood which follows the natural rake of the ground.